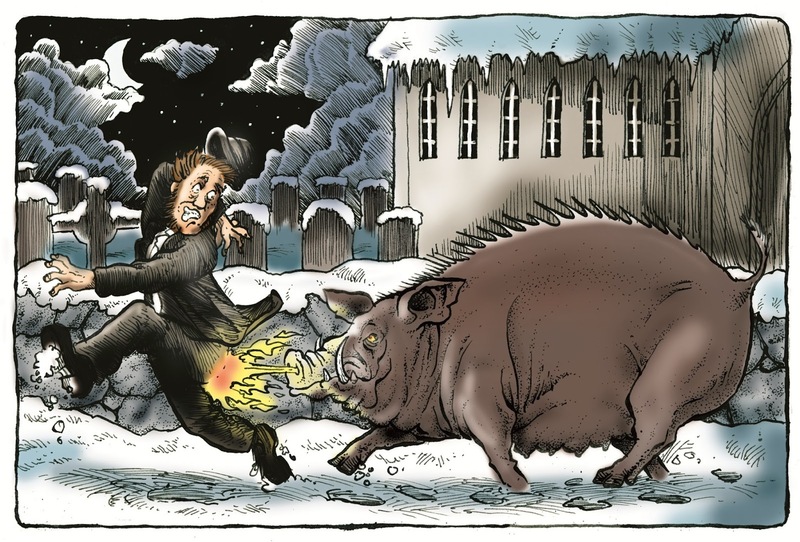 In Britain, the animals most closely linked to Christmastime via folklore and other traditions include such familiar and generally friendly species as the robin, the reindeer, and the turkey. In Skåne and Blekinge, the two southernmost provinces of Sweden, conversely, a very different, and far more daunting, creature pervades the Season of Goodwill, and its presence is anything but good. 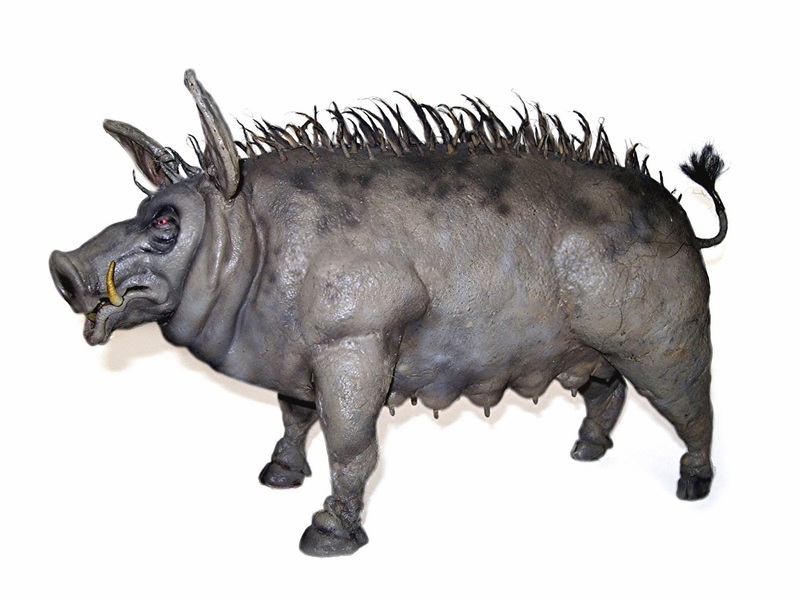 Scarcely known outside its Scandinavian provenance, outwardly it resembles a pig, but no ordinary one, for this preternatural entity is in many ways the porcine equivalent of Britain’s phantasmal Black Dogs, and is just as dangerous! 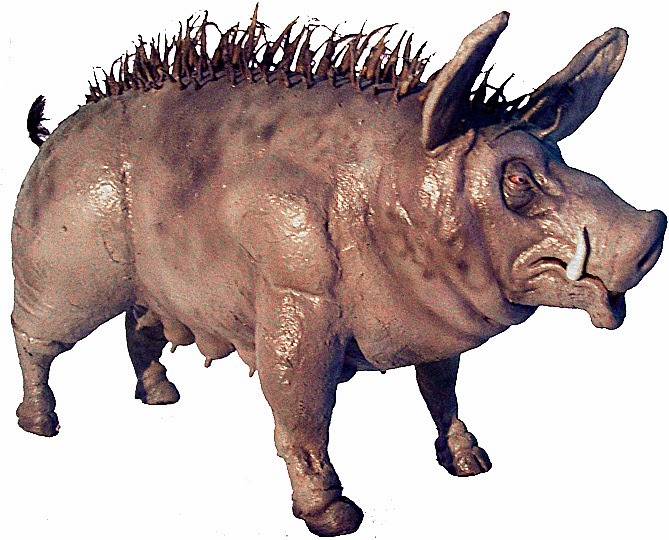 Most commonly referred to as the gloso (other names for it include the galoppso and the gluppso, all translating as ‘galloping sow’), this dire beast is grim in every sense of the word. This is because the gloso is a church grim (or kyrkogrim in Sweden), i.e. 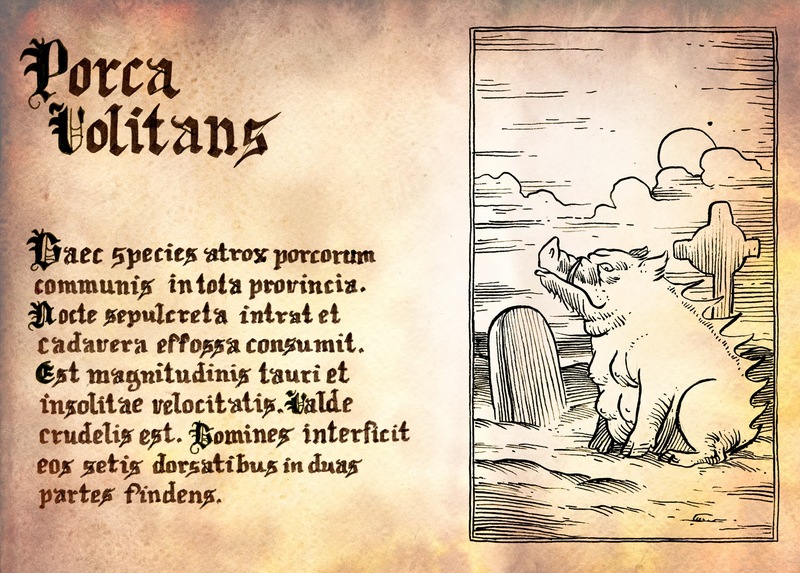 a supernatural creature derived from the spirit of an animal or person supposedly sacrificed when the foundation of a church was built, and which now protects the church and its grounds for all eternity, and cannot be killed by any normal weapon. Generally, the gloso lives either within the cemetery of the church to which it is bound, or within a mound in a field directly adjacent to that church. According to Swedish legend, on the evening of Christmas Day (and also on New Year’s Eve) anyone can discover everything that will happen to them during the incoming New Year if they are brave enough to withstand an assault by the gloso. The ritual stipulates that after the sun has set, you must visit four different churches in four different parishes, walk around each church in an anti-clockwise direction, and then blow through the keyhole of each church’s door. After blowing through the keyhole of the fourth church’s door, if you then peer through it you will witness all of the most notable events that await you in the New Year, rushing before your eyes in a rapid stream of images like a speeded-up movie film. In some variations upon this legend, the same gift of New Year foresight can be obtained by confronting the gloso at a crossroads instead. As a teenager, the maternal grandmother of Swedish artist and cryptozoologist Richard Svensson once visited a crossroads in Blekinge on New Year’s Eve for the express purpose of conjuring forth the gloso – though merely to see it rather than to witness what the New Year held in store for her. (Un)fortunately, however, the gloso failed to materialise. “The ritual was a kind of vision-quest that a person who wanted to gain psychic gifts undertook several years in a row. After a bit of fasting he went out, under absolute silence, on a night-time walk to powerful places, a graveyard, a stream running towards north, a holy well, etc, and during these walks he was given trials. One of these was Gloso, and he avoided danger by just keeping his legs together and refusing to show fear. If he did, he came to no harm and gained a bit of magic power. Next year he met something else, a dragon turned into a chicken, for example, Odin on a horse, a band of aggressive Vättar [Norse nature spirits], and so on and on. While the ceremony went on, he got visions about who would die in the different homes he passed by, who would get ill, and what he could do to cure those illnesses. He also gained material magic tools too during these walks, like bones from dead people etc. It is possible that the gloso is a remnant of earlier Nordic legends appertaining to Gullinburste (‘Golden Hair’). 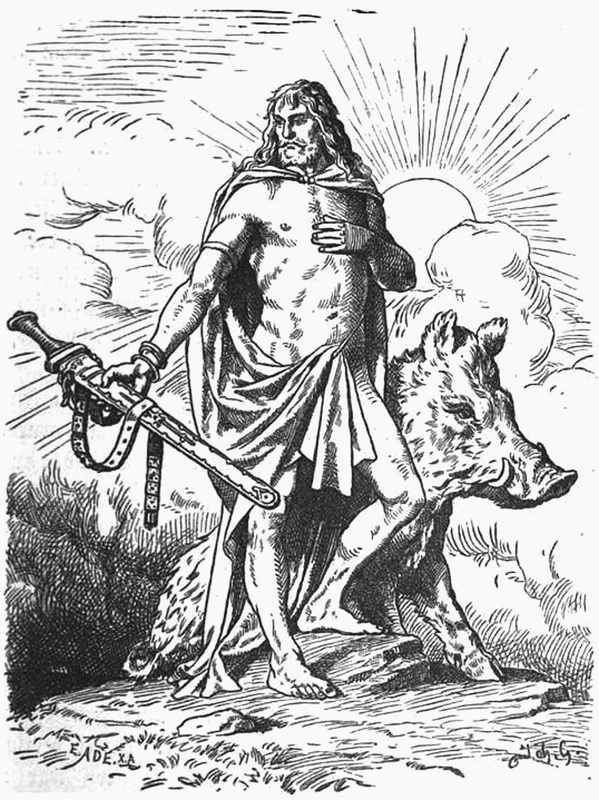 Named after its golden bristles, and also known as Slidrugtanne (‘Horrible Tusks’), this was the great boar that pulled the chariot of the Norse deity Frey, god of fertility and pleasure. Moreover, in Blekinge there is even a local myth neatly combining Norse tradition with Christianity, in which every year St Thomas, armed with a mighty sword, rides a tamed gloso during the Christmas week to rid the land of fatally-alluring troll-maidens and other malevolent pagan beings – especially during the evening of 21 December, known as Thomas’s Eve. Presumably, his saintly status affords him immunity from being torn in two by his gloso’s lethal back-bristles while riding it! In light of such a horror as the gloso, suddenly even our own Black Dogs, Owlmen, and other British zooform entities seem positively tame by comparison. 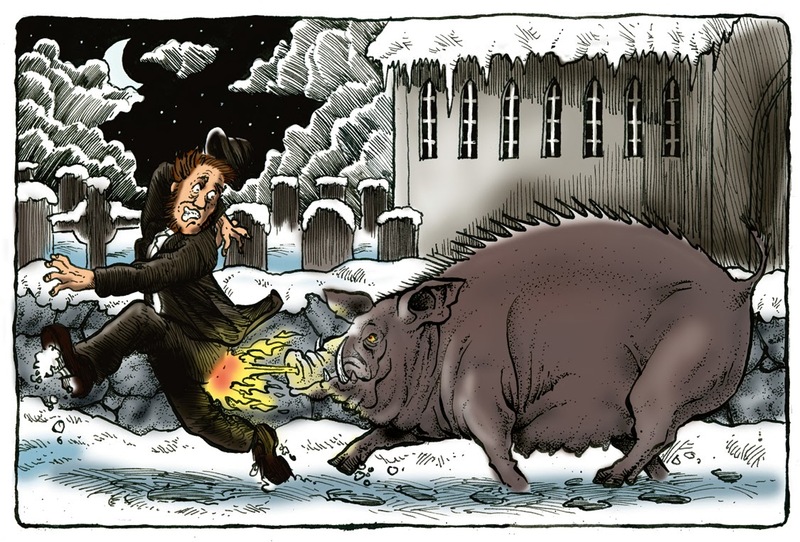 So I very sincerely hope that every ShukerNature reader’s Yuletide celebrations this year will be blessed by a notable absence of fire-breathing pigs!